David Estrin is a senior environmental law specialist with over four decades of experience in practicing, writing and teaching in this area. Most recently he has been a senior partner at Gowling WLG. A trailblazer of Canadian environmental law, in 1971 he helped found the Canadian Environmental Law Association, Canada’s first public interest environmental law advocacy organization, and was first general counsel for its environmental law clinic. In 1976 he opened Canada’s first private law practice restricted to environmental law; and in 1990 founded the environmental law practice group at Gowlings. He has appeared as counsel at all levels of court in Ontario, Alberta and at the Federal level, and has many precedent setting cases to his credit involving a range of issues such as environmental protection and environmental assessment, municipal and land use planning, as well as constitutional issues and Indigenous law. His clients have included municipalities, Indigenous peoples, public interest, environmental and community groups, governments, crown and private corporations, as well as law firms in Canada and the U.S. Throughout his highly influential career David has authored or co-edited numerous authoritative texts, including the first Canadian environmental law book, Environment on Trial: A Handbook of Ontario Environmental Law; Business Guide to Environmental Law (Thomson Reuters) a two-volume text that provides continuously updated insights into Canadian (and comparative U.S.) environmental law developments affecting the business community; and Handle with Caution: Liability in the Production and Disposal of Dangerous Substances (Carswell, 1986). 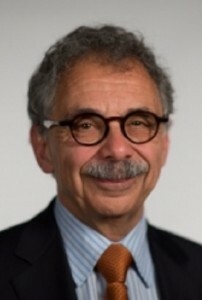 He has advised on the drafting of key environmental legislation, is the founding editor of the Canadian Environmental Law Reports and has taught environmental law at various law and environmental studies faculties including the University of Waterloo, University of Ottawa, and Osgoode Hall Law School. His contributions to Canadian environmental law were acknowledged in 2006 by the Canadian Bar Association, which established the David Estrin Prize, awarded annually for the best Canadian law student scholarly essay in environmental, energy, or resources law. In 2016 he received the Law Society Medal to recognize his outstanding achievements and community contributions.